or psychological distress, schedule an appointment to see Michelle on 0408 755 419 for a personalised and planned response. We are not a crisis line. If you are in crisis now, visit helpful links. If you are a medical specialist and need to escalate a patient’s care for Psychological assistance, Michelle can help. 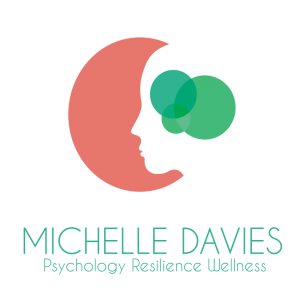 Michelle Davies has over 19 years Psychology Practitioner experience with children, adolescents and adults. She has worked in the not for profit, private and Government sectors. Michelle is particularly skilled in pinning down a difficult diagnosis or eliminating differentials. We bulk bill. You may be eligible for Medicare rebates for up to ten individual sessions. Speak to your GP, Paediatrician or Psychiatrist about the Better Access initative. If you belong to a private health fund you may be able to claim a rebate for Psychological services. The exact amount of rebate will depend on your level of cover. It is best to check with your fund for an exact per session rebate figure. Please confirm with your private health insurance for couple therapy rebates. Medicare do not offer rebates for this service. © Copyright 2019 Noosa Psychology Clinic.